Rockville is a fish, poultry and meat supplier to Henderson Group. 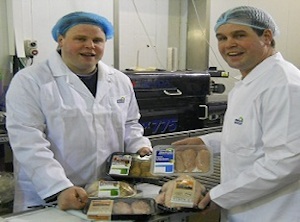 Rockvale Poultry has been supplying high quality chicken to customers in Northern Ireland for 20 years. The company has full control of its supply chain in terms of breeding stock, rearing its own birds and feed, allowing for high standards of animal welfare and traceability to be upheld.